Sunday School Lessons. Bible Study Lessons. Four new lessons added each week. Thousands of lessons available on every book of the Bible and every imaginable topic. No long-term commitments. If you are not satisfied, cancel any time. By the way using the strategy of fellowship and a decent lesson we have grown from 12 to 40 in 2 and a half years. By using Good Questions Have Groups Talking there is always something that penetrates my spirit and sets my mind to work. Josh Hunt's Good Questions, try it. Your teaching will be anointed! God has utilized the Lesson's from Good Questions to minister to us. The questions are really good for facilitating meaningful conversation. Our class grew from 10 people to more than 40 in one year!!! We don't have a room big enough for us now. The format saves us time in preparation in order that we might be able to work on the ministry needs of our class. I love using your lessons. I use them almost every Sunday. They really do get the conversation going. I usually learn more from my class input in 45 minutes than I do studying the background info, for hours, on each lesson. These lessons nearly always provide insight I would never have seen. Thank you for taking the time to write these lesson questions. I believe my presentation would be a lot less interesting without your help. I have started an outreach Bible study in our gym during the Sunday School hour. I am training our Bible study leaders to use your Good Questions that go with the LifeWay’s Life Truths series. I have trained 10 people to be table leaders for three weeks and we are now ready for outreach. Our goal is to have 100 new Bible study members by starting new classes around “round tables”. So far we can report enrolling 3 new members and the discussions that have ensued have been “stimulating” and “discipling” (if you allow me to coin a new word). Your Good Questions save me a great deal of time and have been utilized to train new leaders to teach through directed discussion of God’s Word. Thank you very much for your ministry. I have used lessons from www.joshhunt.com probably for about as long as the website was launched….maybe 10+ years ago? Time flies when you’re having fun! If you’re looking for something to supplement or replace traditional Bible study lessons (read: snoozers), then I’ve always found great ideas from Josh’s lesson outlines. Most often I can use them pretty much as is—and the adult classes (young couples and now middle-age couples) I’ve taught always get into the discussion and are personally involved in the learning process. My suggestion is to take Josh’s lessons and add a pertinent comic strip from www.frankandearnest.com (you can search by topic) and you’re good to go. Thanks, Josh. I am pleased to praise and commend the lessons I have used from your Good Questions for the last six or seven years. Your lessons invariably stimulate me to become more diligent as I make preparations to teach. The thoughtful and thought provoking questions promote discussion and many times motivate students who have studied to actually teach the lesson to each other and open my mind and heart to Biblical truths I had not considered during my preparations. I am completely confident that far more is learned and acted upon through discussion than through my teaching. I teach a couple's class, age range from late 20's to early 40's. I was looking for a way to liven up my class when I discovered Mr. Hunt's "Good Questions". What a transformation has occurred in the people! Not only in the class attendees but in myself! These lessons get almost every one involved in the discussions. A God-send, for sure! No more boring lectures! Thanks, Mr. Hunt, for all you do. If you liked sitting in class listening to a boring professor go on forever and you think your Sunday School students enjoy that too, then these lessons aren't for you! On the other hand, if you enjoy leading a lively discussion about a particular passage of scripture, these lessons will prompt your class to think and then ask great questions. The resulting discussions are honest and from the heart. Small groups are not about hearing each week from a gifted teacher. Instead, they are about people discussing the truths and principles of scripture in a way that helps them connect and build community. Josh's questions help to create an atmosphere of learning from the word and growing in our relationships with one another. My name is Roy Howell and I am the Sunday School Director at Beaumont Baptist Church in Spartanburg, SC. I have a standing rule that if a teacher is going to be out, for whatever the reason, they are to call me to let me know. This is so I can be sure someone is in place to teach. In doing so, I have found that I am the one that becomes the teacher. I have used your Good Questions many times in the short amount of time that I have been a member to put together a lesson and used the questions to keep the class going. Whether looking for added teaching helps, insights into how to get group members talking, or last minute lesson ideas, hands down Josh Hunt’s Good Quesions is one of the greatest resources for pastor’s and teachers on the internet. I would recommend this site to anyone looking for informative and challenging bible lessons that facilitate dynamic interaction and discussion geared around relevant and challenging questions. The question to start our lesson (ie name and your favorite flower) have worked really well. It seems to make a visitors feel comfortable. The questions you develop really get thought going. I can’t imagine teaching my single adult class without your lesson questions. They are often the spark to get the discussion fire going. I usually find a nugget in the verses that I would never have thought about without your insight. Thank you for your faithfulness to study the Word and share your good questions with other teachers. Enjoy the lesson plans and appreciate your time and ability. Here are a couple of thoughts I had. Good Questions is a catalyst which brings LifeWay to life. Prior to using Josh Hunt's Good Questions I taught one way, I did all the talking. Using Josh's questions we now have two way lessons and the class loves it. I have used Good Quesions for a couple of years or more and have found it to be a valuable resource for my adult bible class.. The questions are always pertinent and evoke a good response from the class. Further, using Good Questions reduces the time I have to invest in lesson preparation each week. I hope to use Good Questions for as long as I am able to teach. We just started a our class this past fall, after about two weeks I signed up for your questions. These lessons really get the conversation going and have helped us keep everyone interested in the class. Our class has a wide range in age, we are from 18 years old (just out of high school) to our mid 30's. The class had 1 person and another teacher last year, and now we have 10 on role. The growth has be so great that the class across the hall has asked us what we are doing. We have been more than happy to share what we have done with them. I have taught Sunday School for over 20 years and I have used Good Questions for a number of years now. They are an invaluable part of our lesson every week. I feel, as you do, that Sunday School class is more beneficial when multiple viewpoints and life experiences are shared. The questions tend to draw these impressions out of the class and allow open conversation rather than a one dimensional viewpoint coming only from the teacher. Thanks for this study help as it not only makes my job easier but has allowed us to have a more fruitful class experience. Josh, I personally use your Good Questions every week in preparation for the Sunday School class. We study the Explore the Bible series and your comments and discussion questions make for great "filler" topics for each week. Thanks for putting the time in to help with each lesson. Please don't stop what you do, your questions are really helpful. I really enjoy using these lessons. I teach an adult class from age 30 to almost 90. These lessons get a great conversation started and bridge all generation gaps. Thank you. As you can tell I’ve been using your lessons for some time now. I particularly enjoy the thought stimulating questions included in the lessons. I use your lessons as the starting point (and it’s a big starting point) for mine and then research and cross reference using PC Study Bible, Greek-Hebrew interlinear, and the internet. I really appreciate the variety of lessons to choose from and the varying length of the series. Sometimes I don’t want to start a 13 week series! It certainly helps when I need a substitute because the lesson can be taught with as much or as little additional work as time allows. Thanks so much. I am always looking for insight to compliment my class presentation. The lessons in Josh's Good Quesions contain questions that people want to answer. I have taught college students, young marrieds, empty nesters, and currently I am teaching our seniors (70+). In every case I have found the "Good Questions" helpful. Josh, I like the lesson plans a lot because they allow me time to study background material along with my bible text to fill in the lesson plan and make it more complete and also get the other classmates involved with life application stories. Just this week we were talking about value of human life and our pastors wife (she is only 25) told a wonderful story about her baby sister (17 years) and the threat of being diagnosed with spina bifada before birth. Her mother had the child and she is perfectly normal and is a beautiful tall young lady today. Thanks Josh for ideas that challenge us. I love the questions that you give every week for the adult Bible study lessons. Many of the questions give me new insight to an application that I had not considered. Your questions cause the student to think a new thought, or apply God’s word to their life in a new way. As the pastor of a small church, over the years I have been blessed by the ministry of the lessons prepared by Josh Hunt. Often I have found an excellent study to use with a home Bible Study group or adult Sunday School class. I find the lessons very helpful. They stimulate the conversation at our cell meetings. I teach a class of over 50 years in age. We use Good Quesitons to provide our equippers with a set of thought provoking questions to stimulate a productive and learning lesson. It also gives a challenge each week to our equippers to plan fellowships on a regular basis. God has commanded us to do two things: love Him and love one another. The interactions you have given us help us draw closer to the Lord and to one another. They engage us in conversations that encourage as well as educate. Let's face it, too many Bible study classes are too predictable to be interesting and too impractical to be applied. Thanks for all you have done for us and for others around the world. I am only too glad to voice a word of endorsement for your lessons. Every item you mentioned is certainly true and I would say that all of them are reasons that a Sunday School Teacher who wants to do their best ought to be using them. One other reason that I like them is that so many times they have caused me to take a second look at a verse of scripture to find that there is a deeper question to ponder than just the "standard" meaning that most are used to applying to that verse. May our Lord and the Holy Spirit continue to lead in your life. Thank you for your ministry in this special area. Teacher, Couples aged 55 - 70. These lessons worked great for priming the pump to start discussions in Chapel Bible Study groups when I was deployed in support of Operation Iraqi Freedom. Your helps are a huge treasure trove in presenting lessons that engage and connect adults to the Bible and also to each other. I know many other teachers at First Baptist who have also come to appreciate how your lesson questions help them consider new ideas and directions. These questions are so memorable that attendees keep these in mind all week. Keep up the great work! I teach Adults in their 30s. I use the lesson helps almost every Sunday. They drastically shorten my lesson preparation times and get people talking. People really respond to the conversational style of teaching. The lesson helps epitomize Proverbs 27:17 - "As iron sharpens iron, so one man sharpens another." NIV With the lesson helps, I have grown from a half-decent teacher to a good teacher who teaches better than half-decent lessons. Keep up the great work for the glory of God. I've been a Josh Hunt fan for several years...since the publication of his first book. What most attracted me to Josh's vision was his approach to teaching. Rather than advocating the often pretentious style of lecturing ("let me show you what I know"), Josh compels teachers to lead with questions, the type that "get people talking". Where Good Questions has been most valuable to me is in the days after I've completed my lesson preparation. I'll look at Josh's questions and see if, in his study of the same texts, he has come up with a type of question that I have missed or not previously considered. In other words, I use Good Questions as sort of an "outside the box" resource to give me a second set of eyes on the topic as I am polishing my lesson. I teach an adult Sunday School Class and use The Good Questions each and every week. They have worked out great for our church. We’ve just begun using Good Questions, but the response from my teachers has been overwhelmingly positive! Even some of our “older groups” have been positive. While the teachers are obviously unable to utilize all the questions, they have been excited about “picking and choosing” to jumpstart their lesson discussions. Good job, Bro. Josh! For several years, my wife, Beverly, and I have team-taught an adult couples Sunday School class at East Sherman Baptist Church, Sherman, Texas. We have found Josh Hunt's teaching helps to be most helpful, not only in providing us with additional insight into the Scripture study, but also encouraging class participation through the use of his study questions. …the number and variety of questions are easily inserted into other lesson plans. I like Josh's lessons from the Bible because he asks good, open ended questions. It's pretty easy to teach something in a lecture mood. It is quite another thing to come up with insightful, thought provoking questions that stimulate discussion in a classroom setting. 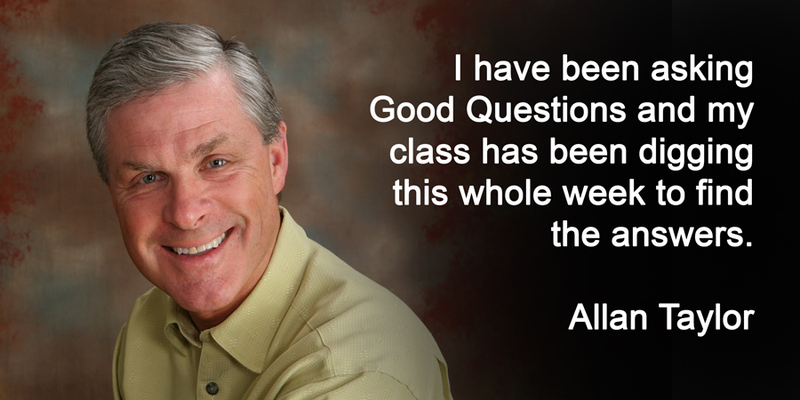 His questions engage the class and take them to a deeper spiritual level. My teaching style is leading a class through directed discussion. Josh's questions (whether it's the "ice breakers" or the "meatier" questions) help spur class members to join in on that discussion. I have just recently renewed our subscription. Since we started using Good Questions (about three years ago), it has become an extremely valuable tool for our teachers and leaders. Thanks for helping us accomplish our mission in teaching the Word! The ideas from Good Questions always give me fresh, new ideas to assist in my Sunday School lesson preparation. Many of these ideas are things I would have never thought of. These ideas stimulate class interaction and discussion, which in turn, result in positive feedback and spiritual growth ini my class members. I provide the questions from Good Questions to all of my adult department teachers (46). The number one comment I receive from them is: “These questions really help when I have to get a last minute substitute. They encourage discussion and get the dialogue moving in my class.” As a Minister of Education, I want to say thank you to Josh Hunt for providing this service. It sure make my job a little easier. Josh, I have been using your lessons in my preparation for teaching an adult Sunday school class for years. I use a group study method of teaching, dividing the text into two to four sections and preparing questions for each section. The class is divided into the appropriate number of groups and challenged to answer the questions based on their assigned text and then report their conclusions to the remainder of the class. I often use some of your questions along with some of my own to get the students involved in studying the Bible text to find answers, which is a skill all Christians need. I do look at other sources, including Lifeway's online sources. However, the final questions used are tailored to my perception of the needs of the class. I teach median to senior adults in a small Southern Baptist church in Wisconsin. Josh Hunt’s “Good Questions” is a wonderful supplement and enhancement to our Bible Study experience at Zion Baptist Church . These lessons always provide insight into the focal passage and really connect the learner through thought-provoking conversation. I use Good Questions every Sunday in preparing to teach my Sunday School Class. These lessons spark conversation about the passage we are studying. And, when people are in dialogue they are learning. I am not a member of the clergy. I am a lay member who teaches an adult Sunday School class. I’ve tried lectures and slick power point presentations, but nothing stimulates thoughtful conversation in my class like the lessons and questions that I find in the Josh’s Good Questions. Thanks for providing such a powerful resource. My husband and I find the questions very helpful. We use them every Sunday for small group discussions in our SS class of nearly 40 people. By putting sheets of questions on the tables, it allows for 6 discussions to go on at one time. Everyone who wishes to participate gets a chance. These questions seem to make the lessons more applicable to our lives. What good is it to know the Bible and not think through as to what it means to us today? We see such a benefit to having the discussions. New people are more quickly brought into the group because they are interacting from their first visit. Everyone is a participant instead of a spectator. It would be hard to go back to a lecture class in which there is only a minimal amount of interaction. I've been using the lessons/questions from Josh for over a year now and I haven't been disappointed. As a pastor I spend a lot of time on sermon preparation and ministry. I teach a SS class that I call the Pairs and Spares. They are made up of couples and singles in their 30's. These questions have opened up a lot of discussion among the class. What I have found is that somewhere during the lesson there comes a "teachable" moment. Most often that moment occurs as different people answer the questions and the lights start coming on in their hearts. Josh's lessons have been a big help in my ministry. I encourage you to give it a try...I believe you'll like it. I just want to write you and let you know how much I enjoy using The Good Questions. I teach a class of 40 adults, ages 40 to 60, each Sunday. Because I teach most of the time I need your lessons that correspond to the Lifeway Explore the Bible series not only for lesson preparation but just to get the conversation going. I am not a lecture teacher but one who insists that the people participate and you know something, with the questions that a part of your lessons, I have never had any trouble getting people to take part in the discussions. 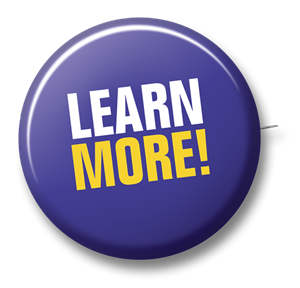 Your lessons also provide us with valuable insight to the section of the Bible we are studying. I would be lost without these lessons so continue on and I thank the Lord for you. I use your lesson help almost every week. The questions are great for getting discussion started in my class. I teach the 20-30 year old young married adult class at Anthony Grove Baptist Church, Crouse, NC. Thanks for the help. I like these lessons because they are practical, relevant, and bring the Scriptures to life in our home Bible studies. I have found them helpful. I have taught Sunday School in a "lecture" format and found people with eyes glassed over struggling to pay attention...not sure if this is due to my uninteresting lessons at times, Sunday School being early or the format in general. I have found that a class full of discussion and engaging conversation about the scripture is one that most everyone seems to enjoy more than a lecture or a second sermon on Sunday morning. Because of this, I like your format for a Sunday School class...one that engages people and gets them thinking about what the Bible is saying and how they can apply it practically to their lives. This helps us to do exactly what scripture says...to exhort the brethren. When we hear each others experiences of faith and how God's word has helped us, it encourages us along our way. I tend to use many of your questions, my own and some from other Sunday School literature to help me put together my final lesson. I do believe that all of your bullet points listed below apply at one level or another. Thanks for the great lessons. I have been teaching adult Sunday School classes now for about 25 years and from my vantage point, the learning culture of our day has changed dramatically. Christian adults spend far too little time reading scripture as a practice, perhaps as a result of the amazing pace our society has chosen to adopt, perhaps because we have "automated" every process. However, Christian adults have not lost their interest in understanding Biblical truth and how to apply it to their lives. I have found through verbal engagement with the truth as it is presented from scrioture adults will deeply comprehend scripture much more readily and discover through the process how truth can impact their lives. I have as well seen open discussion as a non-threatening way for non-Church adults to engage Christians and Christian truth comfortably. Your lesson materials have helped make this possible. They allow me to either build entire lessons around your questions or use the questions intersperced with other lesson outlines so that adults can engage each other and Biblical truth. Josh Hunt’s questions help me to focus on the key point(s) of the scripture and the lesson. Josh Hunt’s questions help me to avoid the minutia of many lesson writers and to focus on the key point(s) of the scripture and the lesson. Josh Hunt’s questions help me to prepare a lesson that gets everyone involved in the discussion. I don’t have to lecture with Josh Hunt’s strategy for getting everyone involved in the discussion! That lessens my preparation time and avoids people getting bored with my talking! Senior adults, singles/couples ages late 50's to mid 80's. All very active adults. The Good Questions is a quick easy access resource that complements almost any lesson. The lessons provide a great easy to use resource to pass along to any one who needs to step in, even at the last moment to teach a class. There are two resources that I turn to the most in lesson preparation – Good Questions and the Serendipity Bible. Both are excellent in guiding learners into God’s word and to draw out their life experiences as it relates to His word. The lessons save me much time and provide questions that stimulate discussion. I also get insight that had not previously occurred to me as I studied. Thanks for your great contributions to my study processes. As a Sunday School Teacher, Good Questions cause me to “dig deeper” as I prepare during the week. When class time arrives, I feel more prepared and the questions stimulate class discussion and cause each person to examine their own lives and attitudes. I teach a group of married couples and widows age 65 to eternity. The group includes former Southern Baptist missionaries, retired pastors and their wife's as well as other well read church members. I teach by getting the class to discuss various parts of the lesson and your material is very effective in this area. Thank you for taking the time and effort to prepare the material for me. Your lessons have been very helpful to me. My husband is the pastor of our church and this is the first time that I have taught adults. My experience has always been with youth. The questions in these lessons generate a lot of discussion and also help with the application of the scripture. My biggest goal is not to be boring, so if you are getting feedback at least you know that their minds are engaged! Of course the next goal is to give them something that they could use in the upcoming week. Our attendance has been pretty good (we average about 78% of our class roll). Your lessons provide me with questions that help to stimulate conversation. My class seems to enjoy the interaction, and I also find that people learn more when they can express their views. The lessons help me design my lesson to achieve maximum interest and involvement. Good Questions are a very valuable teaching aid. They provide a way to get my class talking and thinking about lesson application that they might not have otherwise even thought about. I love the ice breaker questions - it's great to find that even the quiet ones have a voice and they often continue to use it throughout the rest of the class time as well. THIS PRODUCT IS NOT PRODUCED OR WRITTEN BY LIFEWAY CHRISTIAN RESOURCES OF THE SOUTHERN BAPTIST CONVENTION BUT IS INDEPENDENTLY PRODUCED UNDER A LICENSE AGREEMENT. THE CONTENT HAS NOT BEEN REVIEWED OR ENDORSED BY LIFEWAY CHRISTIAN RESOURCES.